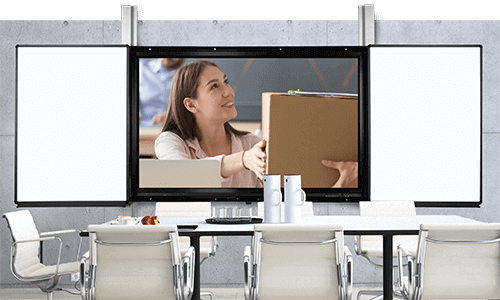 This electrically height-adjustable monitor wall mount - interactive board with two fixed and two movable wings is compatible with all touch screen displays available on the market from 65 "to 86" screen diagonal. 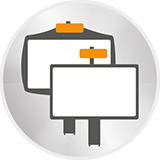 You have the maximum flexibility - during the installation you can choose the height of the monitor and fit it according to your needs. 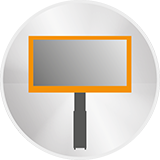 You can adjust the height of the monitor wall mount / interactive board with just one button push on the two aluminum pylons mounted to wall and floor. This guarantees that every user can work or present in the height that is ergonomically the best for her or him. 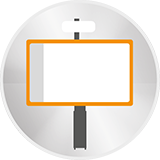 To the right and left of the touch screen display are two fixed side wings that are magnetic, writable and dry wipeable. All wings are framed in aluminum profiles, waterproof glued and black anodized. The movable wings run on rolls in guides – they can be moved without using force.